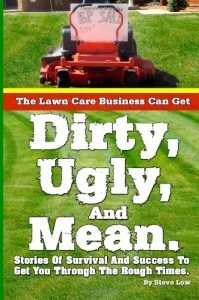 « What’s your lawn mowing schedule like? 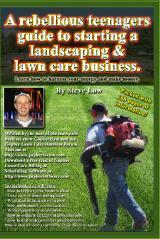 Each area of the country has it’s own unique climate, growing period, and challenges that can effect lawn care. 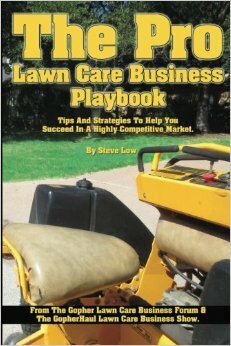 Talking with your lawn care customers and finding what their needs are can really expand the potential services you offer. 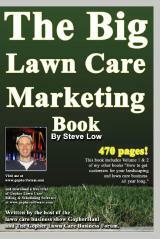 Some services may sell big in certain areas while in others they may not sell at all. 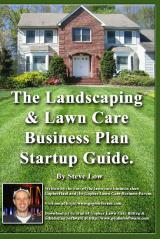 A big key to success is finding these services and performing more services while on a single site. 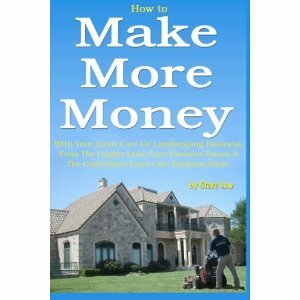 Doing so can increase the amount of profit you make per stop. 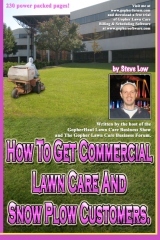 Let’s check out a story from the Gopher Lawn Care Business Forum on how one landscaper did this. 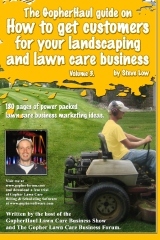 He wrote “I am always keeping a watch for new services I can offer my lawn care customers in order to make more money from them. 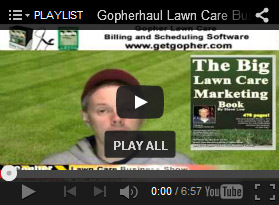 I decided to add gopher trapping services to my ever expanding list. 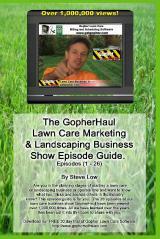 Some close friends of mine have a business dedicated to gopher trapping and do it exclusively. 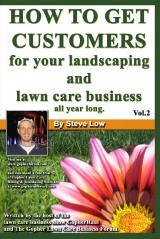 I have thought about it for a while and after some research decided it is was a much needed service in my area. There are only 1 or 2 businesses, mostly pest control companies that offer it, and I think I could provide a better service. 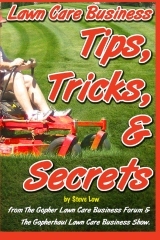 My friends offer training to people wanting to learn how to do it. Their normal charge is $250 for about 2 hours of training and they give you four traps to start. They manufacture their own traps and sell them for $12 each. So I worked out a great deal with them and ended up with 6 gopher traps, 6 mole traps, 1 vole trap, and special digging tools etc. Not only do my friends teach their trapping techniques to home owners but they also trap gophers as well. Their charge to residential customers is $200 to make 3 trips to the house. 1st trip : They look and access the type of rodent (gopher, mole, vole) needing to be caught. Then they set the traps. This trip takes on average about 20-30 minutes. 2nd trip : 2 days later, they check the traps, reset if necessary. This trip takes about 20 minutes. 3rd trip : 2 more days later, pull traps, collect money. About 15 minutes in total. These friends of mine live about a couple hours from my location so they don’t feel like I am stepping on their toes. My area is in the heart of California’s wine country. The wineries need this service tremendously. For wineries, I charge $175 per person per day, plus $5 per rodent. The average winery rodent removal job will need about 6 man hours in one day and will catch about 50-90 gophers on average. Then they will not need us to come back for a while. 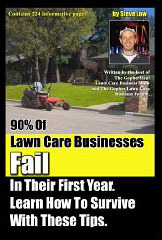 Order the lawn care business book 90% Of Lawn Care Businesses Fail In Their First Year. Learn How To Survive With These Tips! today. 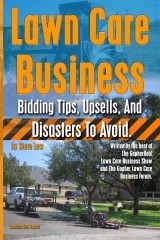 This entry was posted on Tuesday, June 26th, 2012 at 5:11 pm	and is filed under Animal trapping, How to Estimate - Services To Offer, How to Estimate Jobs, Lawn Care Business, Pricing, Upsells. You can follow any responses to this entry through the RSS 2.0 feed. You can leave a response, or trackback from your own site.